I spent my second Christmas away from “home” this year. I put “home” in inverted commas as I have been away for so long that my definition of “home” and where it is has begun to change. 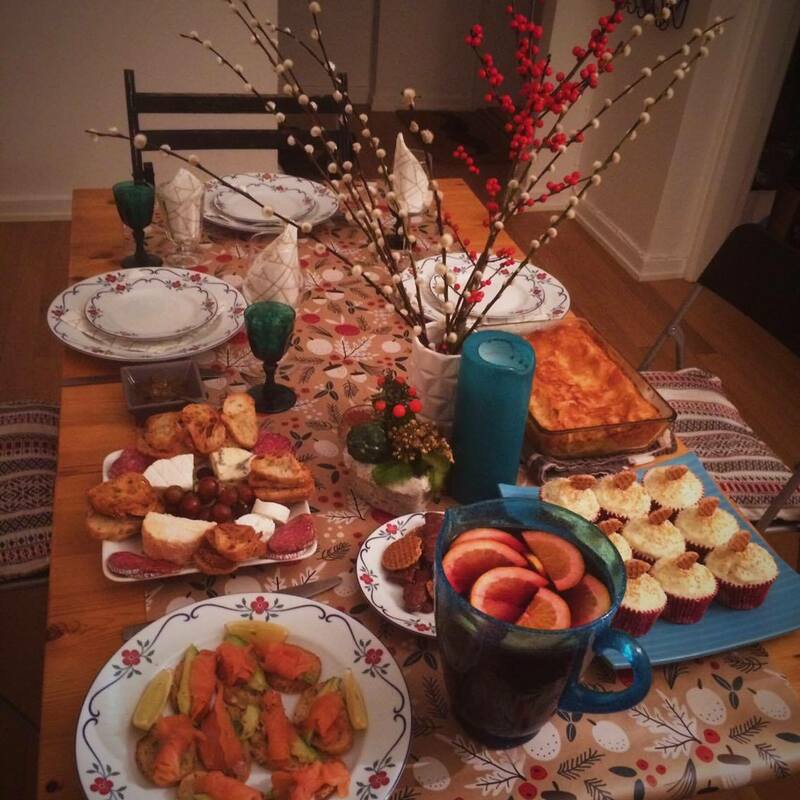 Last year I spent Christmas with extended family in Germany, where I enjoyed home cooked meals, Christmas markets and warm gluhwein! 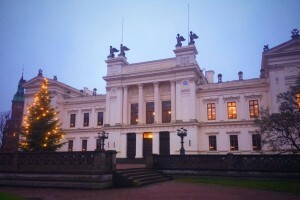 This year I decided to spend an “orphans” Christmas in Lund with some friends. 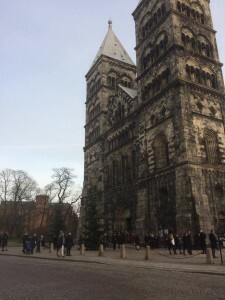 Lund was alive and busy in the days leading up to Christmas with many people doing there last minute Christmas shopping. However, from the 24th a hush settled over the city and it became the quietest I had ever seen it. I was shocked to find out the system bolaget (Sweden’s state governed alcohol shops) were closed from the 24th-28th! Many shops and cafe’s were also closed over this period. This seemed to me to be a large closure period as it was surely one of the busiest times of the year. I found it interesting to see so many people leaving church on the morning of the 24th. 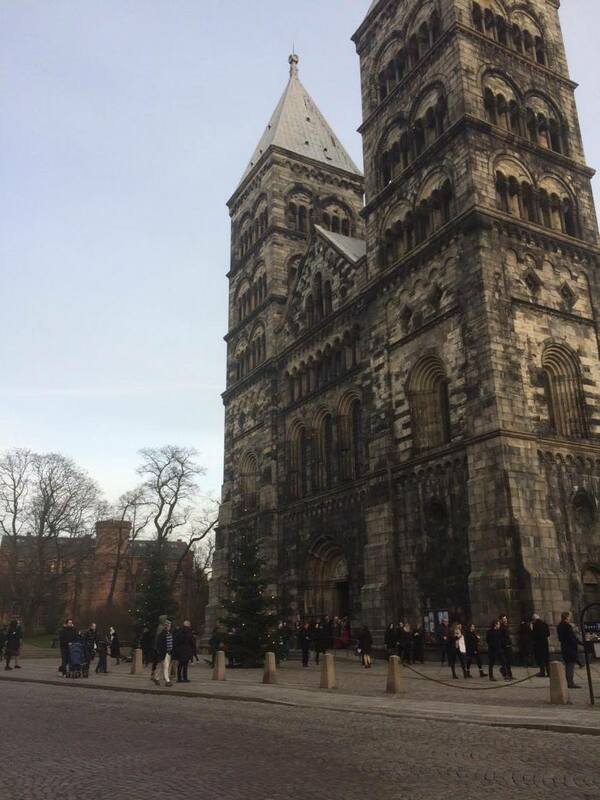 As Sweden is largely a secular society, I had never seen so many people at church in Lund before. I did travel to Malmö and Copenhagen in the days following Christmas and found it to be much livelier. Many retail store’s were having sales and bars were as busy as ever. 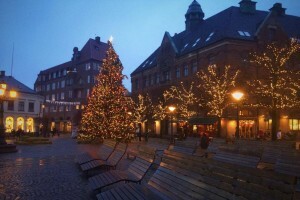 The central square in Lund over Christmas. People leaving church on Christmas Eve. Christmas tree decorated in front of the White House. This entry was posted in Swedish culture and traditions, The city of Lund and tagged Christmas in Sweden, Copenhagen, Lund, Lund University. Bookmark the permalink.